Fourth generation of Renault Scenic compact van has celebrated its world premiere in the beginning of March 2016 within the framework of international Geneva Motor show, becoming the main novelty at the stands of the French brand. 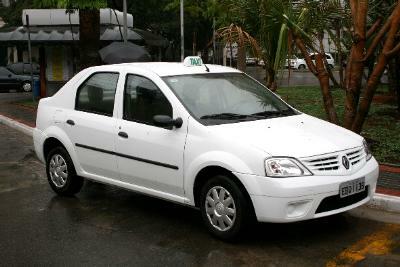 The car did not go for a radical change of the concept, though it tried on some crossover features, but compared to its predecessor has changed fundamentally – has become bigger from the outside, clothed in a new outfit, got a bunch of electronic “widgets” and placed under its hood a number of modern engines. 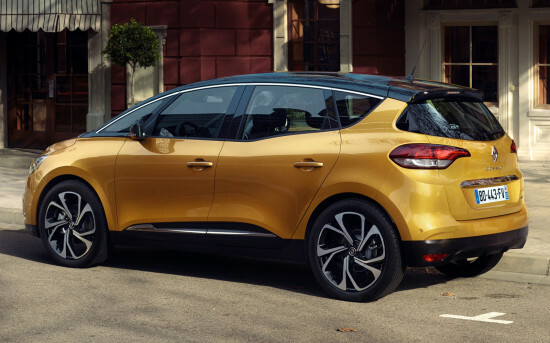 Externally, the “fourth» Renault Scenic is not perceived like a van thanks to a new “family” design of the brand, and has an expressive, impetuous and even sporty appearance with its 20-inch “rollers” and low-profile tires. 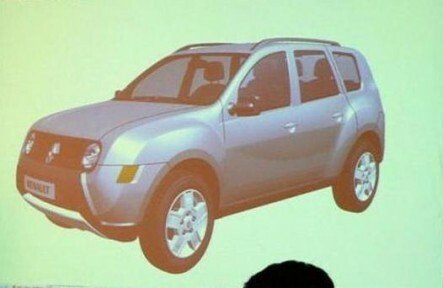 The novelty looks modern and attractive, from a distance it can be easily taken as a crossover. 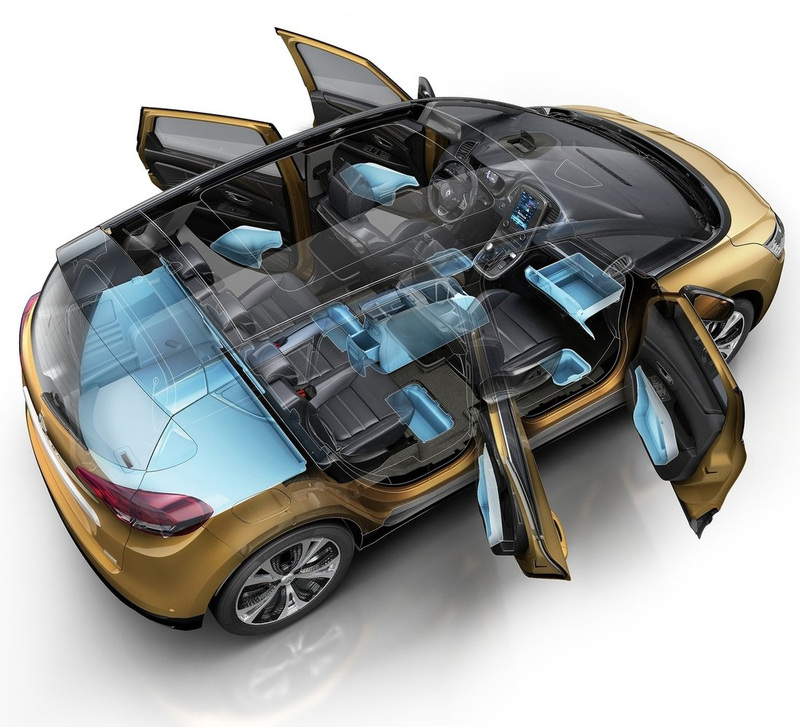 Overall dimensions of the 4th generation Renault Scenic are as follows: 4406 mm long, 1865 mm wide and 1653 mm in height. Size the wheelbase equals 2734 mm and its ground clearance is fixed at 170 mm in the “stowed” state. 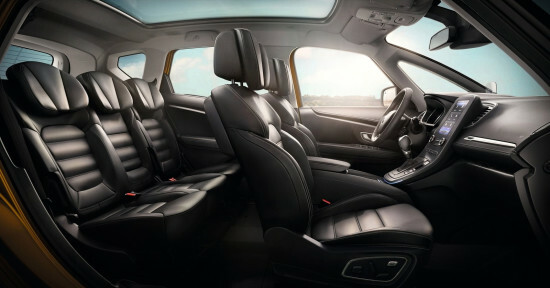 Renault Scenic interior is executed in the spirit of the other recent models of the brand combining nice design, advanced technologies and solid surfacing materials. 4th generation Renault Scenic possesses a spacious and easily transformable salon with lots of niches, shelves and containers for small items. Front seats of the compact van “flaunts” with a pronounced side profile and broad regulations, and between them there’s an arm-stand that moves back and forth. Rear sofa is molded for three people, and has plenty of space on it in all directions. 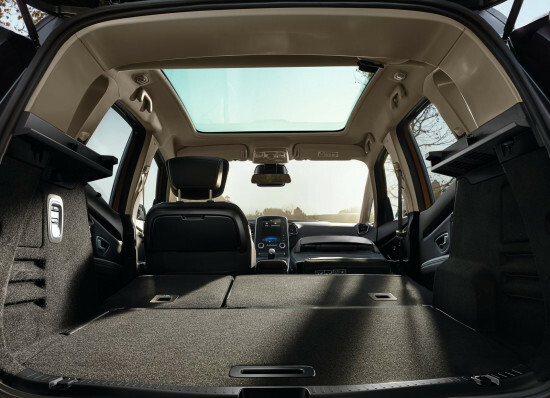 Capacity of the load compartment of Renault Scenic ranges from 496 to 572 liters in the standard layout thanks to the “driving” on a sled “gallery”. The back rest fits into a flat area in a couple of asymmetrical parts, significantly increasing free space for the luggage. 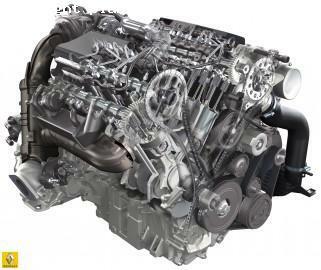 For a French compact van of the Fourth generation there’s a wide range of powertrains, directing the power flow exclusively to the front axle wheels through a 6-speed “mechanics”, which is is replaced by diesel optional 7-speed “robot” with two clutches in the “top” version. 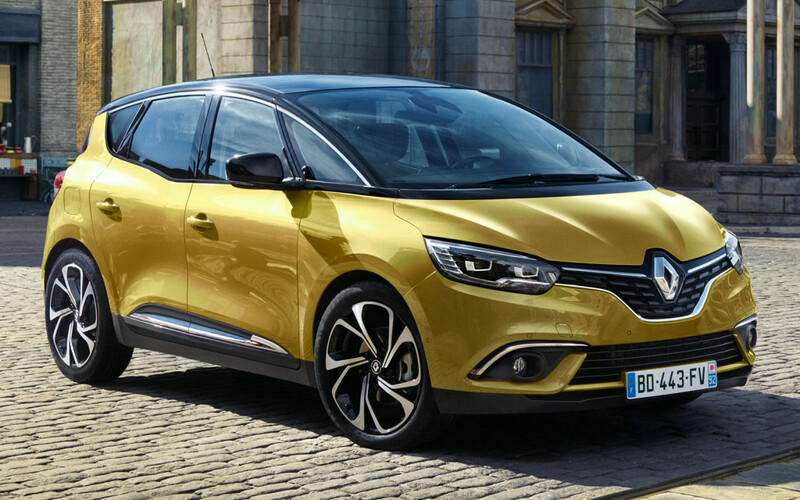 In the European market sales of Renault Scenic 4 will start before the end of 2016. In the basic version the car will get: a multimedia center with a 7-inch screen, powered windows for all doors, 20-inch wheels, air conditioning, sound system, ABS, ESP, steering wheel and other functionality. The optional equipment list includes: color projection screen, virtual instrument panel, LED lights, fully-controlled 4Control chassis, a package of driver assistance, embodying adaptive “cruise”, automatic braking system, tracking of “blind” zones and pedestrian recognition of road signs, etc. There are photos of the interior and exterior of the car Renault Scenic 4 (2016-2017) category RENAULT posted on the site. All photos of the car Renault Scenic 4 (2016-2017) can be downloaded for free on the PC.